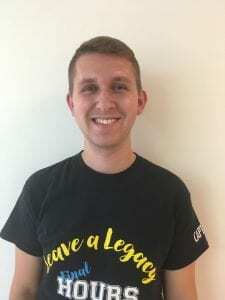 Thomas (Randy) is a 2018 graduate from the College of Engineering at The Pennsylvania State University. He studied Biomedical Engineering as an undergraduate with a focus on biochemical applications. His responsibilities include maintaining yeast cell lines under various stress conditions, preparing yeast chromatin for ChIP-exo assays, and performing ChIP-exo on sonicated chromatin. 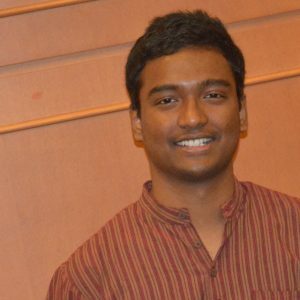 Mr. Kuntala is a graduate from Ohio University. He is cross trained in Computer Science and Bioinformatics. His responsibilities include developing open-source bioinformatics software and research applications. Designing and identifying requirements for interactive database applications and programming novel methods of analysis. Primarily working on epigenomic data derived from next-generation sequencing. 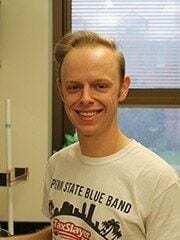 Mr. Mairose is a 2018 graduate of Penn State University trained in Biochemistry and Molecular Biology. His responsibilities as a Research Technologist 1 are growing yeast and mammalian cell lines, and preparing cell pellets and sonicated cell extracts for the Yeast Epigenome Project. He is also responsible for logging large amounts of metadata during processing. 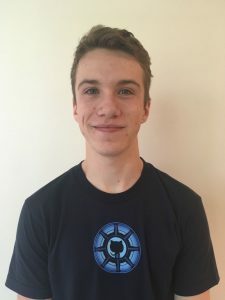 Pierce Chaffin is a junior at The Pennsylvania State University studying computer science. 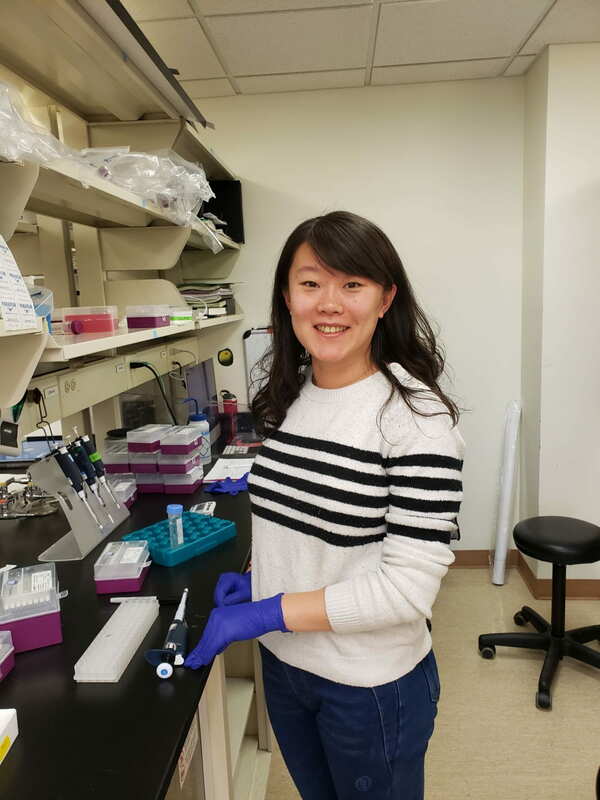 Pierce primarily works providing support for the lab's core sequencing services database and web platform infrastructure, PEGR (Platform for Eukaryotic Gene Regulation). This provides the automated pipeline infrastructure that a number of our grant projects rely upon. He will focus on updates to the PEGR user interface and setting up a testing matrix for the new PEGR website to verify the functionality of its features across browsers, reporting bugs in Git, and noting issues as needed. 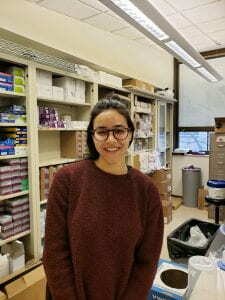 Anna is a sophomore at The Pennsylvania State University studying biotechnology, the clinical laboratory scientist option. 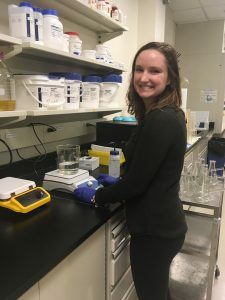 Anna participates in general laboratory maintenance, upkeep of laboratory reagents and media stocks, and provides support for research of staff, post docs and graduate students in the lab of Dr. Frank Pugh. Laboratory assistants are integral in the efficient workflow of the lab. 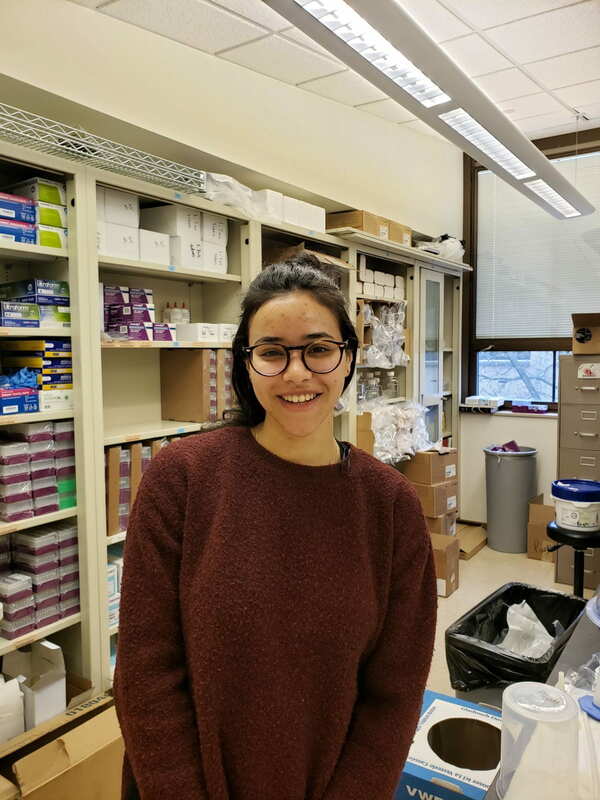 Sophie Rodriguez is a sophomore year undergraduate student pursuing a degree in Biomedical Engineering with specialization on the Biochemical option. She currently serves the Dr. Frank Pugh laboratory with maintenance and upkeep, mainly of laboratory reagents and media stocks, and provides support for research of staff, post docs and graduate students. Hui is a master student of Applied Statistics program at the Pennsylvania State University. Hui also has a Ph.D. in Genetics. Their interest is to study systematic genome-wide function of gene regulators by developing high throughput CRISPR/Cas9 gene editing in yeast. They also would like to learn dry lab skills to do big data analysis.